Stock Tank Pools (Galvanized Stock Tank Pools), Going Organic! 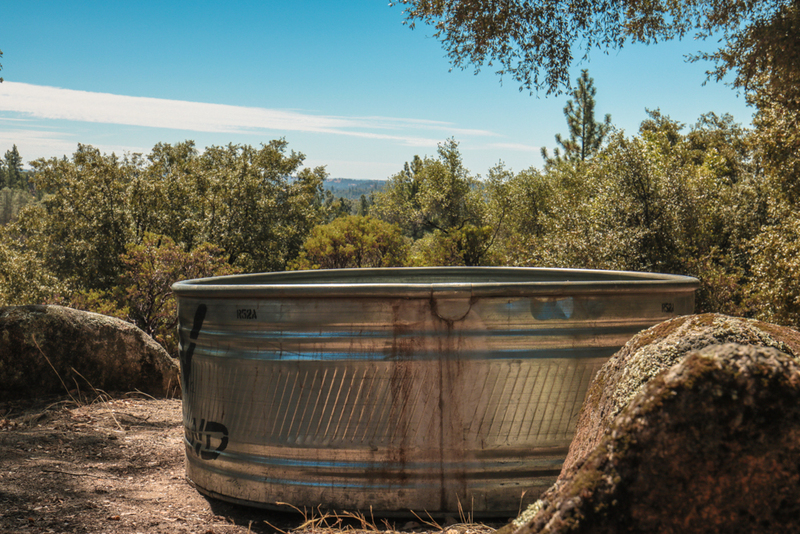 When you buy a stock tank to use as a pool or a hot tub, it’s common to feel pretty smug. If you feel like you’re beating the system, it’s because you are! Other people are paying ten or twenty times as much for their swimming pools and hot tubs as you are, or even more! And your stock tank pool is going to be sturdy and functional long after they are replacing the liners in their above ground pools. But when you’re shopping for galvanized stock tank pools, you’re likely to have people look at you like you have two heads. Especially if you go to a feed store to buy a stock tank, it might be best not to mention that you plan on swimming or soaking in it, unless you want to spend a lot of time explaining yourself to people who are looking at you like your face has just turned into a lobster. If you find yourself braving the wild world of feed stores to find a stock tank, here is some useful information to make the process easier. Remember, stock tanks are made to be easy to drain and fill. So bigger is not necessarily better. Especially if you are buying a stock tank for a hot tub or a soaking tub, each person does not need a huge amount of room. Think about how often you will want to drain and refill your stock tank, and then decide how many gallons you want to be using each time you fill it. This will get you some funny looks, but there’s no better way to make sure that it is a comfortable pool for you. Keeping in mind that it will feel different once it is filled with water, sitting in the stock tank will help you know whether it is the right size for you or not. Metal stock tanks have corrugated walls for stability. That’s really good, because it’s part of what makes them so efficient and inexpensive. But try to avoid really big corrugations. For one thing, they are really uncomfortable when you lean your back against them. And for another, if you want to cut holes in your stock tank to make a hot tub, it is almost impossible to flatten out the corrugations to get a tight fit on the through-wall circulation ports. A 5 ft stock tank is not always a 5 ft stock tank. For economy in shipping, they often ship the stock tanks nested within one another. This means, of course, that the inner tanks are smaller than the outer tanks. They are all labeled the same, but the inner tank may be as much as 6 inches smaller than the outer tank. So when in doubt, take the larger tank. And bring your tape measure when you are shopping, because you don’t want to think you are getting a 5 ft stock tank and actually get a 4 ft 6 in stock tank. The steel of your stock tank is coated by a protective layer of zinc to keep it from rusting. This zinc layer will eventually wear away. The length of time it takes depends on how frequently you use the stock tank, how much chlorine is in the water, and other factors. Just keep in mind that the protective zinc coating will last as little as 2 years or as much as 10 years, and after the zinc starts to wear away you may notice some rust spots appearing. Of course, with how inexpensive stock tank pools are, at that point you can afford to buy another one!